If you finally decide to take the plunge and delete your Facebook, you should know that your Messenger account may also go missing if that's how you log into it using your Facebook account. 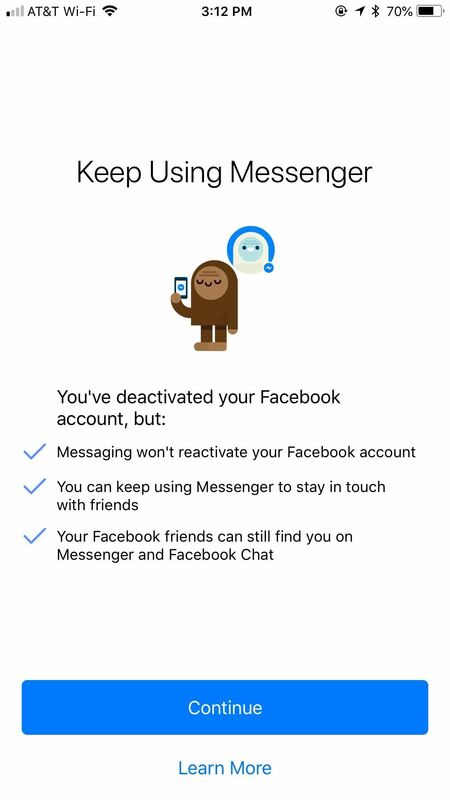 You can make a new Messenger profile without tying it to a Facebook account, but if you want to keep all of your old chats, you're going to want to deactivate rather than delete. In many ways, deactivating Facebook is much like deleting it. Friends won't be able to search for you or see your profile, which means your posts, photos, and other content won't be visible (for the most part). However, unlike deletion, deactivation isn't permanent and can be reversed by logging back into Facebook. But you don't need to reactivate your account to keep your Messenger activity alive. The good news is you have to do very little to keep Messenger active. After deactivating Facebook, simply open the Messenger app on your iPhone or Android phone. If you were already logged in and connected to your Facebook account, your app will let you know you can continue to use Messenger without having to log back in. Just tap "Continue" to log back in. If not, you can simply log in as you normally would. Don't worry — logging in to Messenger won't reactivate your Facebook account even if you don't see the screenshot below. Of course, even though your Facebook account is deactivated, it's still tied to your Messenger profile. 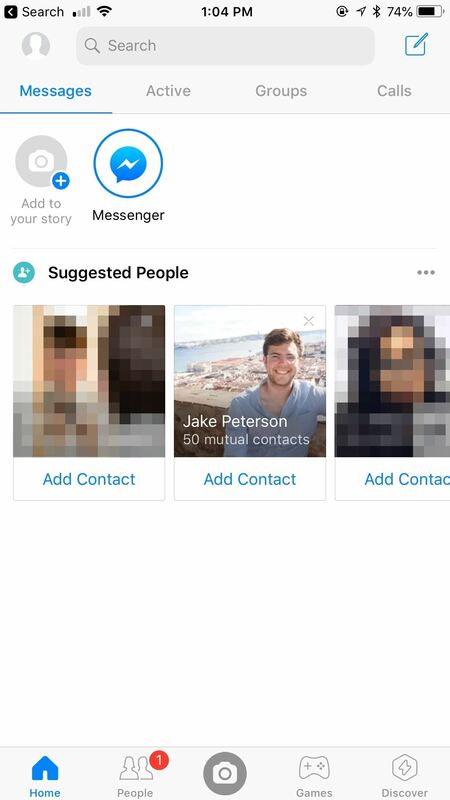 If you're interested in creating a Messenger account that isn't tied to a Facebook account at all, make sure to check out the guide linked below.